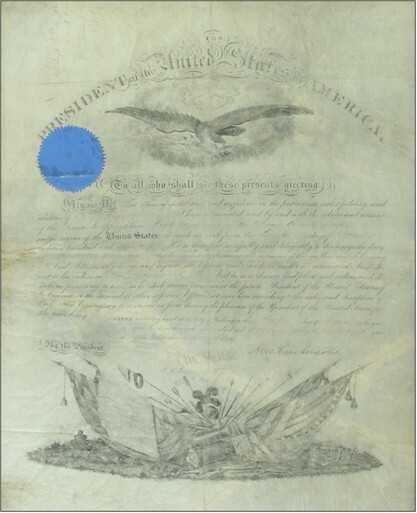 Vellum DS as president, one page, 15.25 x 19, August 1, 1864. President Lincoln appoints a soldier to the rank of Second Lieutenant, signed at the conclusion by Lincoln and countersigned by Secretary of War Stanton. In good condition, with some overall light wrinkling, some handwritten text faded and difficult to read, worn but intact seal, multiple repairs to reverse, expected folds and a decent signature. 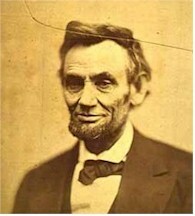 Most of the Lincoln signed documents we see have very faded signatures that have become illegible. 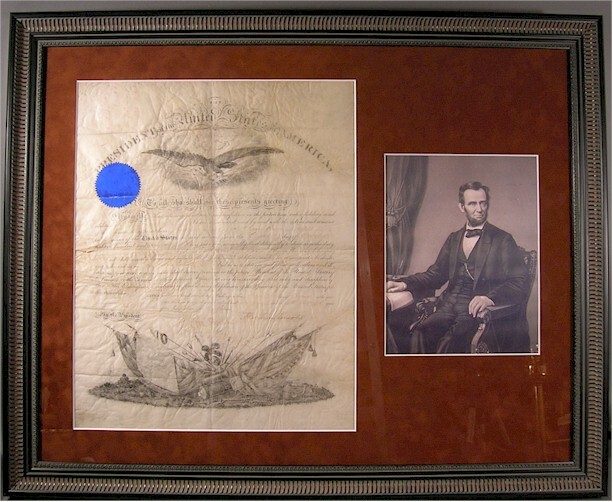 This is one of the more legible, darker, preserved Lincoln signatures we have discovered. Certified Authentic by the two top PSA leading authorities on Historical Autographs, Comes with BOTH of their Certificates of Authenticity. What else needs to be said here. A magnificent piece of history from the most important president in American History! The value and investment potential speaks for itself. 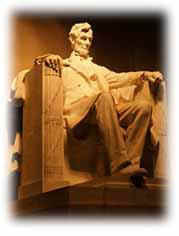 Has been professionally framed in a spectacular display with exceptional Lincoln image.